In today's VETgirl online veterinary CE podcast blog, we interview Dr. Lindsey Nielsen, DACVECC on her study that she conducted retrospectively at Angell Animal Medical Center on the the use of fenoldopam. 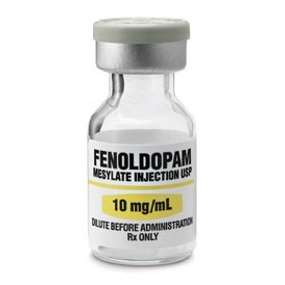 Fenoldopam is a selective D1 receptor partial agonist used to help attempt to vasodilate the renal vessels in acute kidney injury (AKI) patients. So, does fenoldopam help increase urine output and improve the outcome with AKI (No.)? Here, a review of AKI, fluid therapy, dopamine, mannitol, or other unique drugs like fenoldopam. 1. Nielsen LK, Bracker K, Price LL. Administration of fenoldopam in critically ill small animal patients with acute kidney injury: 28 dogs and 34 cats (2008-2012). Objective: To describe the clinical features and outcomes of critically ill dogs and cats with acute kidney injury (AKI) receiving fenoldopam infusions compared to patients with AKI that did not receive fenoldopam. Design: Retrospective clinical study from May 1, 2008 until June 1, 2012. Setting: Private emergency and specialty referral hospital. Animals: Client-owned dogs (28) and cats (34) with AKI that received fenoldopam compared with similar patients with AKI (30 dogs and 30 cats) that did not. Measurements and Main Results: The medical records of 62 critically ill dogs and cats with AKI that received fenoldopam were reviewed. Presenting clinical signs, physical examination findings, and primary and secondary disease processes were identified in all patients. The mean number of days on fenoldopam was 1.5 days (range 0.3–4.0 days) for dogs and 1.9 days (range 1.0–4.0 days) for cats. Eleven of 28 (39%) dogs survived to discharge and 13 of 34 (38%) of the cats survived to discharge. Of the animals in the group receiving fenoldopam that died, the majority (84%) were euthanized. Potential adverse reactions were evaluated, with hypotension being the most commonly encountered adverse effect (7% of fenoldopam group [FG] dogs and 23% of FG cats). When compared with patients with AKI that did not receive fenoldopam, no significant differences were found between the groups with regards to survival, length of hospital stay, adverse effects, or changes in creatinine, BUN, or sodium concentrations except that patients receiving fenoldopam were significantly more likely to have received other renally active medications. Conclusions: In this study of patients with AKI, fenoldopam administration at 0.8 μg/kg/min in dogs and 0.5 μg/kg/min in cats appeared relatively safe but was not associated with improvement in survival to discharge, length of hospital stay, or improvement in renal biochemical parameters when compared to patients with AKI not receiving fenoldopam.